Info: 4 BR, 4 BA Beachfront Condo with 1900+ sq. 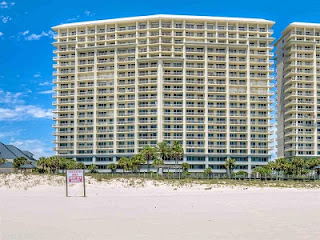 ft.
Beach Club gulf-front condo for sale in Gulf Shores. The Beach Club has everything you need without leaving the resort. There is great food, entertainment for kids including bicycles, arcades, volleyball, tennis courts and private beach. 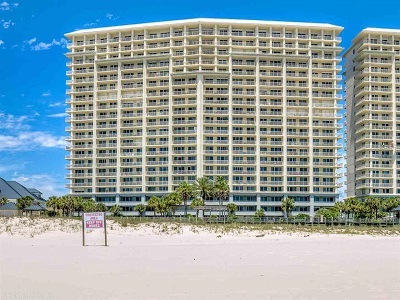 This grand corner unit has an over-sized balcony that wraps around with gorgeous views of the Gulf of Mexico and a second balcony with views of Mobile Bay! It's rental history/projections are astounding! It has a large kitchen, huge breakfast bar, with granite and updated stainless steel appliances and a new AC unit. Seller will include a Home warranty.